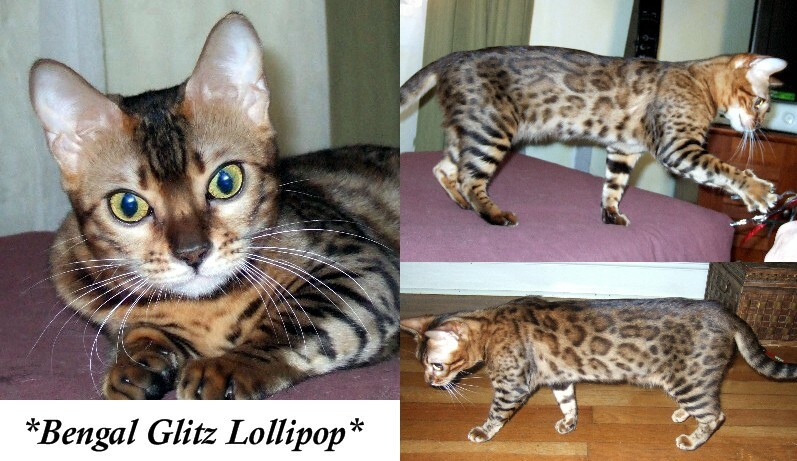 Bengal Glitz Lollipop of KotyKatz is Brown Rosetted Bengal Queen with tons of glitter. She is incredibly playful and her fur is as soft as velvet. She’s extremely loving and is a good mommy kitty. If you’d like to see Lollipop’s pedigree, please click here. This entry was posted in Gallery, Reference Queens and tagged Bengal Queen, brown rosetted. Bookmark the permalink.